ANATOMY OF THE HUMAN EYE: What orbital bones are prone to fracture and infection? What orbital bones are prone to fracture and infection? The medial wall of the orbit is in areas paper thin (0.2-0.4 mm in thickness). 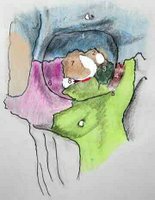 This area over the ethmoidal air cells (ethmoid bone shown in green #3) and green in the figure below is prone to infection and blow out fractures. Interestingly, the honeycomb structure of the ethmoid air cells may provide additional protection. The floor of the orbit has been said to be thicker than the medial wall (0.5 mm thickness in the thinnest areas). However, in our experience it is quite thin. 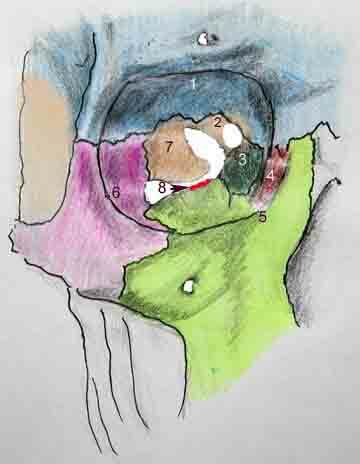 In the accompanying photograph a cross section of a bone from the floor of the orbit is shown that was submitted after trauma. The scale at the bottom shows divisions in millimiters. One can see that maxillary bone measures less than 0.2 mm in some areas. This may be the reason the floor is more prone to blow-out fractures. The blow-out fracture can occur by a mechanism in which intraorbital pressure is increased from blunt trauma. The floor of the orbit is composed of the maxillary bone, part of the zygoma and the palantine bone. In a blow out fracture the contents of the inferior orbital fissure are susceptible to entrapment and injury. 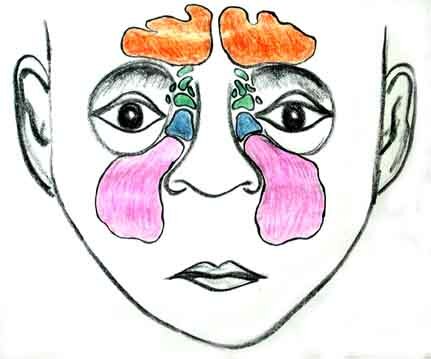 The medial wall of the orbit at the lesser wing of the sphenoid is the thickest area; forming the optic canal (nerve). Tripod fractures, currently called quadruped fractures result from the inferior-posteriorly displaced zygoma; separating it from articulations with maxillary, frontal and zygomatic arch of the temporal bone. The zygoma may also be separated from the sphenoid bone, a fourth articulation. 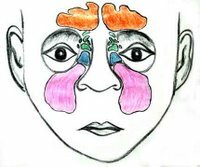 It is called quadruped because the floor, lateral orbital rim, the lateral wall of the maxillary sinus and zygomatic arch are fractured. The key findings are a depressed malar eminence (zygomatic arch depressed) , diplopia (entrapment of extraocular muscle), hypoesthesia in the distribution of the infraorbital nerve and trismus, pain and difficulty opening the mouth, because of impingement of the zygoma on the coronoid process of the mandible. A direct blow to the body of the zygoma is usually the cause of this type of fracture.